Haven't posted in quite a while... I managed to break(!) 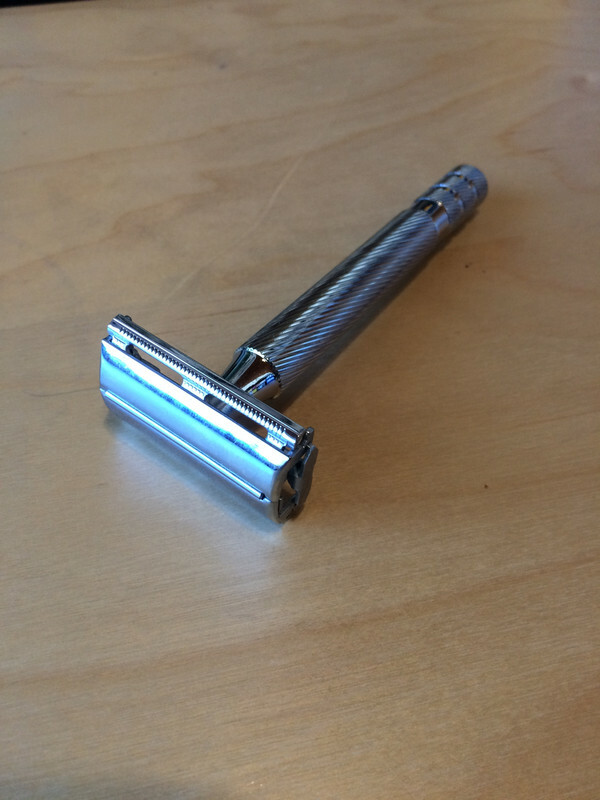 my trusty Merkur 34C HD recently and was about to start hunting for something to replace it with, as it is what I have used daily for the last few years. I was planning on bidding in the usual place for a Gillette tech, when I came across what I think is a new all metal TTO from Wilkinson Sword when out shopping this week. I'm now in Germany, and I found it in DM (Drogerie Markt), which Brits can think of as the German equivalent of Boots. I don't think it's on their website, but here's a screen grab from https://www.wilkinson.de. Interestingly I can't see anything on their UK site as yet. It cost me the princely sum of EUR9,99 and seems reasonably well made. It weighs in at 86g and is just over 11cm long. For me, coming from the 34C, it has a bit more heft and length which I find a nice change. The opening mechanism seems reasonably smooth and the blade is held true. Two shaves in and all seems fine to me! I like it a lot. I hope it gives you a lot of good shaves. I prefer a shorter handle, but I'm always encouraged to see something like this on offer. Thanks for the heads-up! 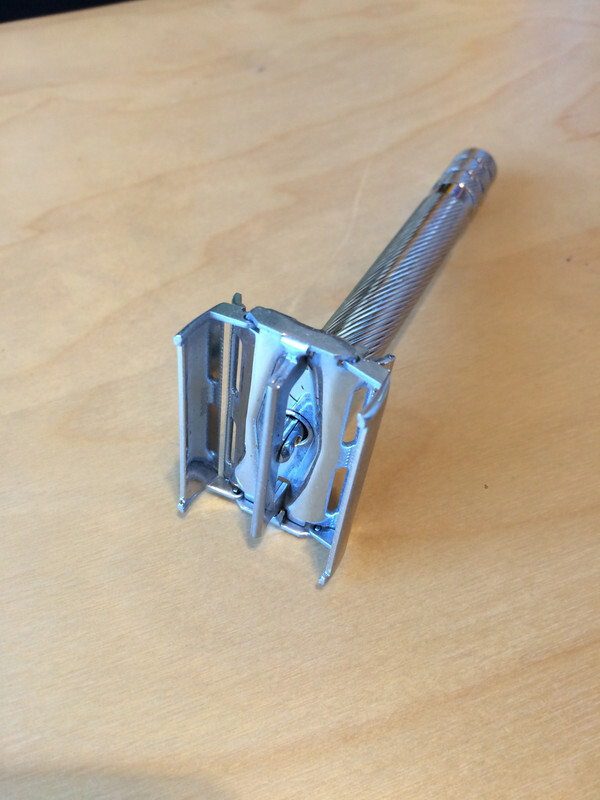 How aggressive is the shave from this razor? 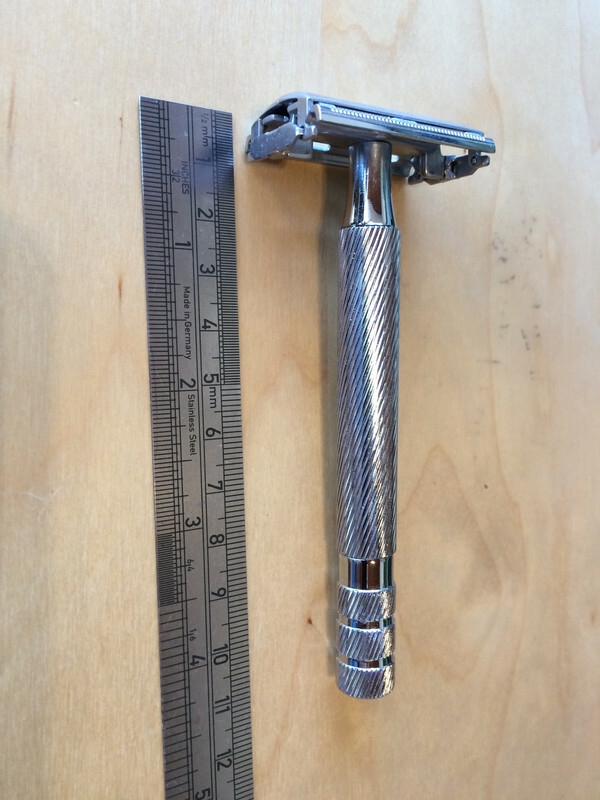 Can you compare it to any other well known razor? It's a barber pole handle Super Speed from an alternate universe. Is it chrome plated or nickel or something else? Does the packaging say where it's made? Actually, it's pre-Super Speed, since there's that un-knurled area above the twist knob. Ranger Tech? Are there any markings on it? Is there any information printed on the packaging, such as where it's made? I'd be interested in seeing a picture of the packaging. I'm going to guess the same company that makes Parker in India, but that's just a guess off the top of my head.